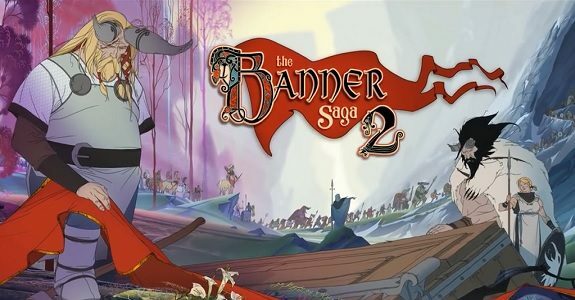 The Banner Saga has had a long journey to appearing on the Switch, having first arrived as an indie PC and mobile title in 2014, and being ported to PlayStation 4 and Xbox One in 2016. It’s surprising that the title didn’t appear sooner on the Switch, because for all intents and purposes, it’s the perfect console for this unique, turn-based strategy game. The Banner Saga takes clear inspiration from Norse mythology, combining a reverence for its ancient myths and legends with a gorgeous, animated style seemingly influenced by the works of Ralph Bakshi. Taking place in a world of endless twilight, where an ancient race known as the Dredge have returned to destroy the Earth, The Banner Saga presents a melancholic and beautiful tale of the struggle of humanity to survive. The bulk of the action takes place in turn-based segments, where players command fleets of soldiers and rally them against hoards of high-powered enemies. Strategy is key to ensuring victory, and players must consider a host of possibilities before implementing their stategy. If willpower or morale is too low, certain moves will no longer be available, and strong armour ratings mean that the chance for an attack to be deflected is high. Generally, attacks from Varl (giants) in your party will be more powerful than regular humans, so losing one in battle can mean certain death. Strategy is also important for maintaining the health and power of your armies, as a healthy balance between fighting and rest is needed, guided by the depth of village supplies. Injuries that occur in battle can have dire consequences for subsequent battles, as characters can become weak and ineffective on the battlefield. The story largely follows two armies as you aid them in their struggles against the Dredge. Decisions made through dialogue can have serious consequences for the future, and battles can either be avoided or brought on by your choices. Winning or losing battles also have serious ramifications, and it’s this that guides the path you take within the game. Cutscenes take place between characters in a gorgeous visual style, but often come off as awkward due to constantly re-used assets, the shifting presentation style and a lack of spoken dialogue. 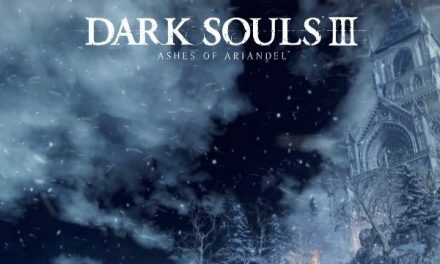 Given the focus on the strategy portion of the game, it sometimes appears that little care has been given to the narrative itself, with much of the action taking place in quick dialogue snippets or simply described, rather than shown. This gives the game more of a hybrid visual novel feeling, and in addition to this, the writing has a tendency to come off as overbearing and overtly morbid. Some of the humour falls flat, and because of this, characters often come off as grim and uninteresting. While the game does a decent job of explaining character actions and effective strategy, it does take a while to master, and mistakes can mean almost certain death. Thankfully, The Banner Saga is forgiving about adjustable difficulty, and making the game easier has little bearing on the narrative or mechanics within the game. More than that – failure is weaved deftly back into the narrative, meaning that every move you make counts. Depending on your skill level, this may become somewhat troublesome. Overall, The Banner Saga is a tight, well-made game with stunning and memorable visuals that shine on the Switch. Combining complex strategy with hard-hitting choices and an intriguing story, the game represents the best of turn-based RPGs and strategy games. While it suffers somewhat with a middling script, these challenges can be overlooked given its focus on strategy over narrative. With its portability and ease of use, The Banner Saga has found a perfect and accessible home on the Switch.